I love a little prank as much as anyone. Especially if the prank leads to a happy surprise at the end. 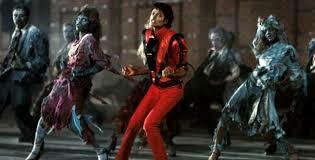 Years ago I saw this idea(so I can’t claim that this is my own) somewhere in the inter vastness that is the web. It was adorable, and I loved that I could use recycled items for the project. These vegetable can gift packages are the perfect size for tiny treats – especially if you want to disguise the shape of the gift– gift cards, jewelry, and small treats fit perfectly. When you begin to select your cans, pay attention to the bottom rim – it needs to be flat like the top of a can – not rounded like many are these days. 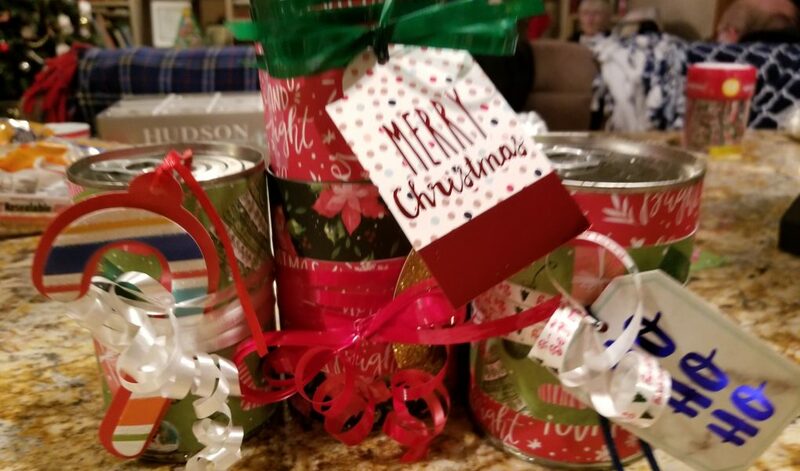 I also like cans that have a pull tab – that way you don’t have to have a can opener on hand if you are traveling – going to an office party – or out to dinner when you present your gift. 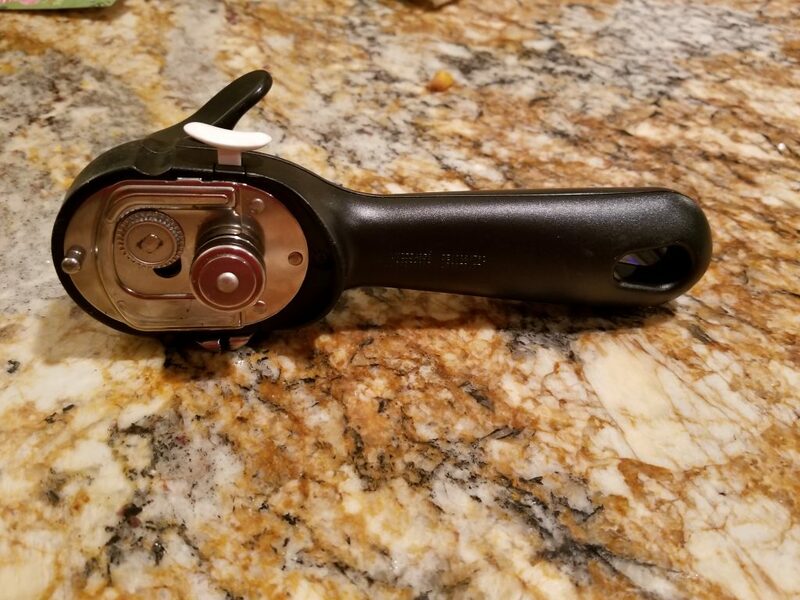 You will also want to have a specific type of can opener,like this one from OXO, to cut the bottom completely from the can rather than punch a hole and remove only the inner portion of the lid. I got mine for less than $20.00 from Williams Sonoma Outlet a couple of years ago. 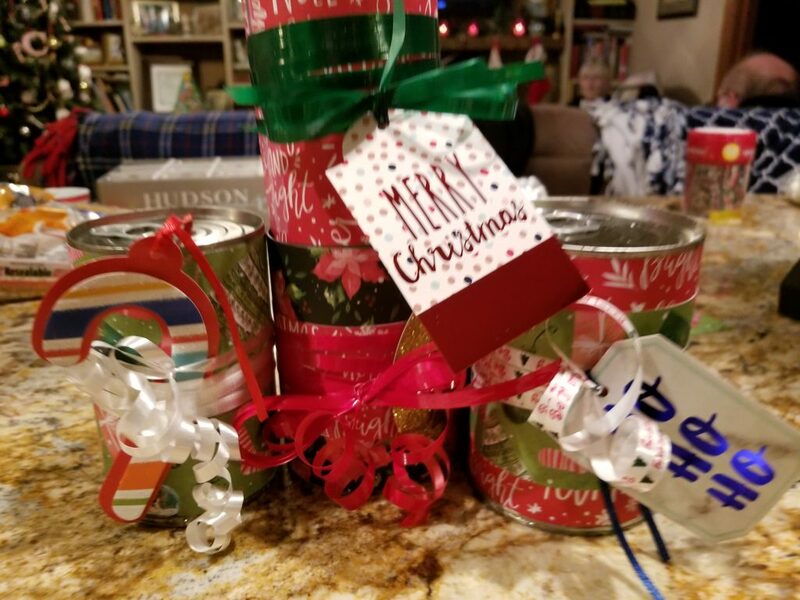 To assemble your gift, plan ahead – I begin saving cans in October to use in December. Carefully remove only the bottom of the can. Remove the contents and rinse can thoroughly. Do a really good job – you don’t want any residue to remain at all. Once dry, store until you are ready to use. You can leave the outside label on the can if you want to confuse the recipient a bit. I will probably do this with a Spaghetti O can for Papa Bear to see if he can figure it out. If you decide to remove the label, do so before storing. 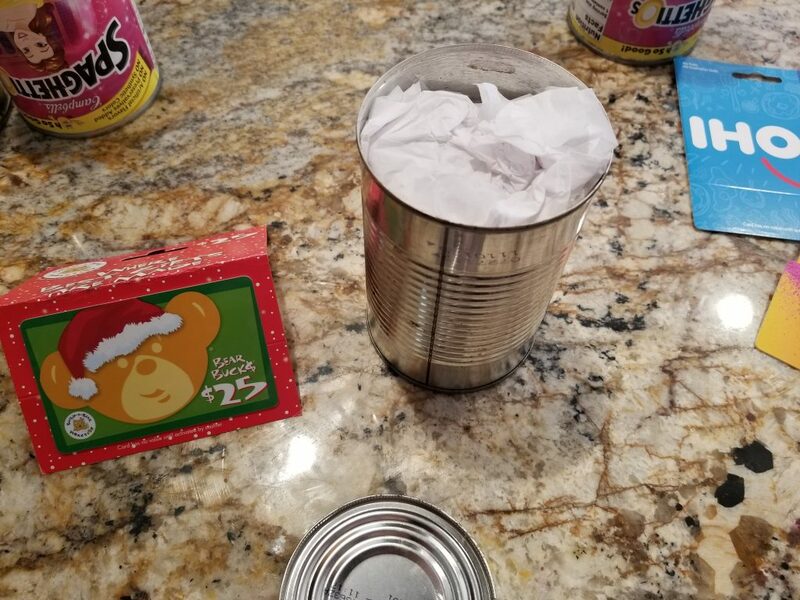 When you are ready to fill your can, you will need glue gun and sticks, tissue paper, Christmas or any other holiday themed scrapbook paper and ribbon or raffia. 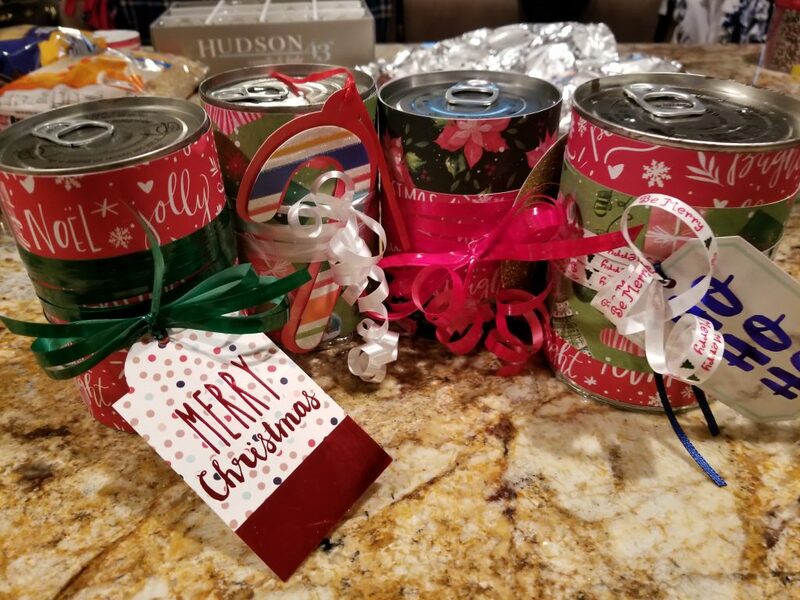 Once you have selected the gifts you are going to stuff into your cans, wrap in tissue to guard against snags or residue from the can’s former life. 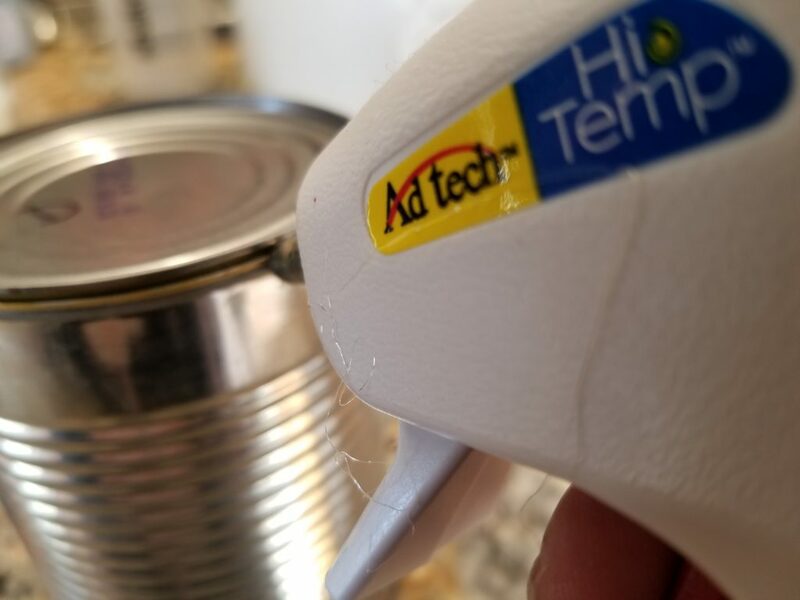 Stuff can and secure bottom to can with small dots of glue from your glue gun. Cut the craft paper to fit the outside of the can you wish to decorate. I like to leave about a half inch of overlap on the edge of the paper so that it completely covers the metal. Wrap your raffia around the middle of your can a few times, thread on a name tag, and tie a simple bow to finish. These are really fun if you are giving cash and are looking for a creative way, or if you are going to a White Elephant exchange. 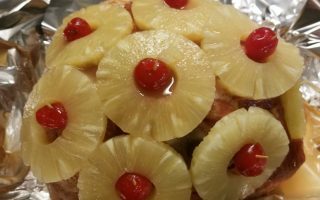 If you tried this, let me know how it turned out for you! What a great idea. I’m going to have to remember this when I have small odd shaped gifts to wrap. 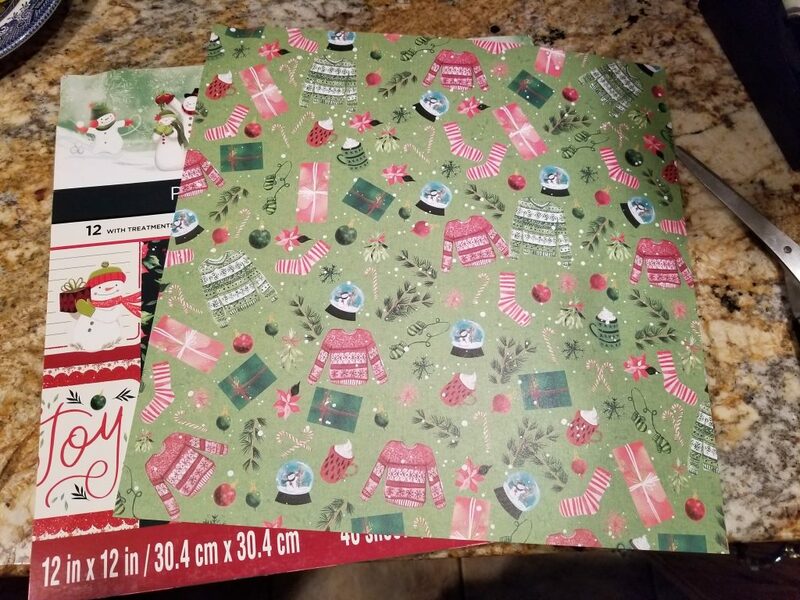 I am hiding gift cards in mine so that they don’t look like gift cards and give themselves away. I LOVE this clever, creative, and green way to wrap up holiday gifts! Genius! Not my original idea, but the kids are going to love opening these! 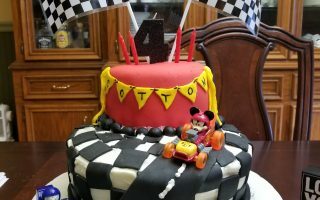 This is such a fun and very detailed way to start a new tradition! I love this so much!! It would be fun to see what you could put into them each year! The kids think they have Spaghetti OS under the tree.